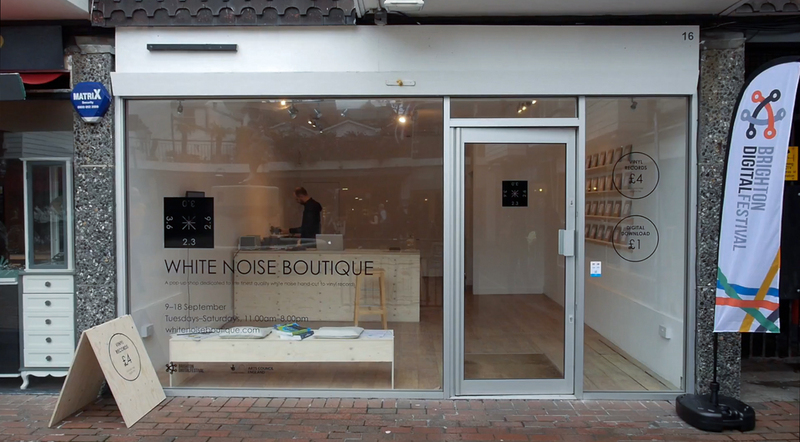 White Noise Boutique is a pop-up shop dedicated to selling the finest quality white noise, hand-cut to vinyl records. 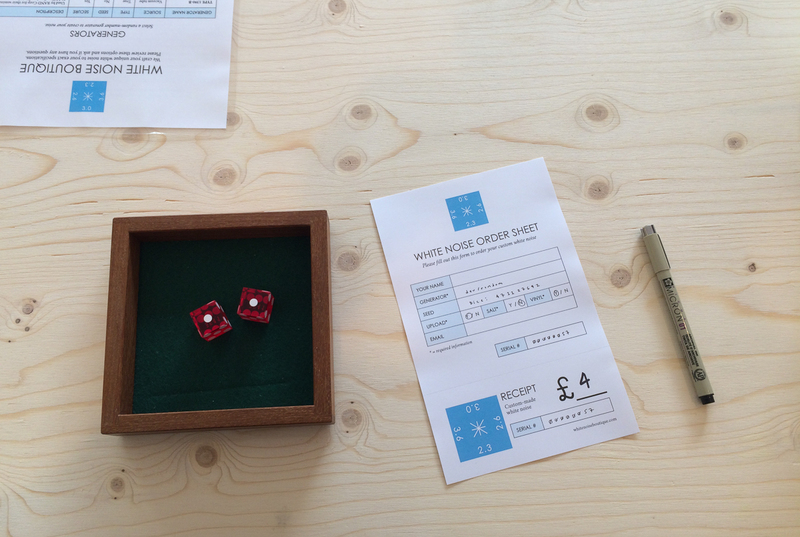 It was first presented in Brighton, England as part of the Brighton Digital Festival. Customers are presented with a variety of noise generator options, ranging from 1950s tube-powered lab equipment to cutting-edge cryptographic algorithms. 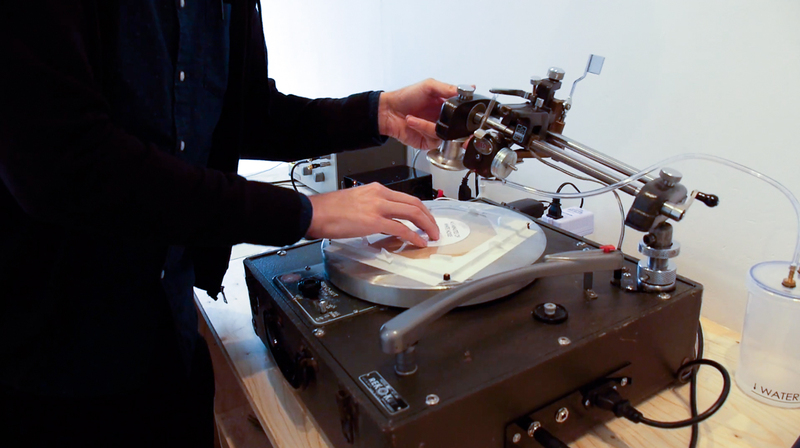 Once the noise is generated, it is subjected to a battery of statistical tests for randomness, then cut to an acetate record using a heavily modified vintage record-cutting lathe. Part performance, part fully-functioning shop, White Noise Boutique is both a critique of and a celebration of capitalism and our technologically-driven culture of customization. The white noise – essentially a stream of random numbers – can also be used for cryptographic purposes, as passwords or one-time pads. The Boutique was also the site of a small library with texts dedicated to noise and randomness from perspectives ranging from music history to mathematics. It also hosted an hour-long white noise listening session, where visitors listened to 10-minute intervals of four different generators, each followed by one minute of silence. The project also included a website, a variety of printed ephemera, and a suite of software created to run the back-end of the project. Much of this can be viewed on the project's code repository. 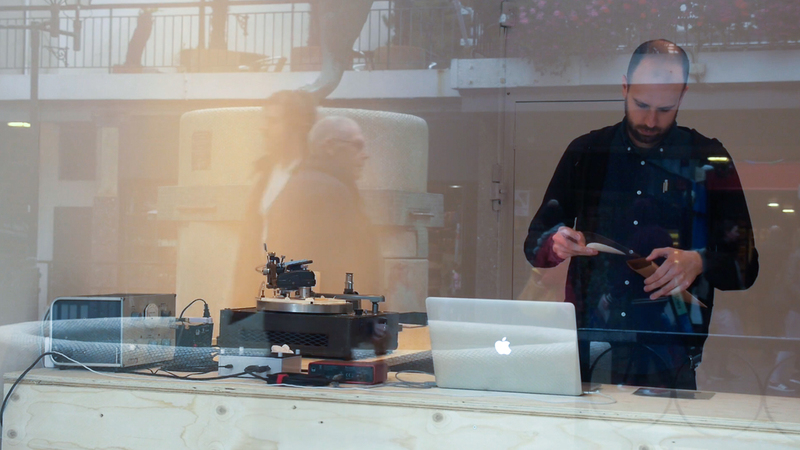 The White Noise Boutique was made possible by the Brighton Digital Festival's Arts & Technology Commissioning Programme. 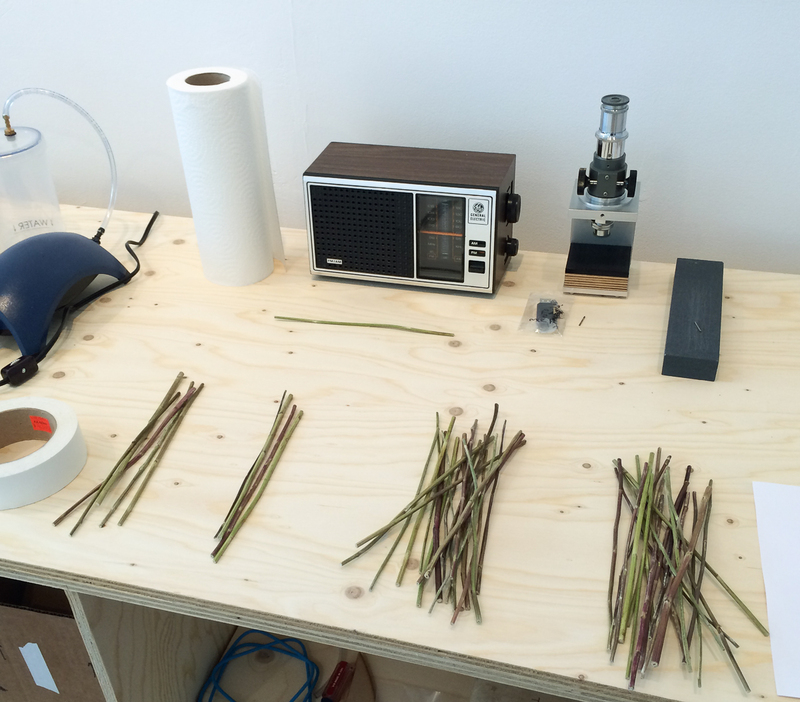 An in-progress view of reading yarrow sticks, used traditionally to read from the Chinese book "I-Ching"